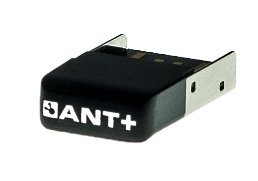 G.FIT is a turnkey dual-protocol ANT/Bluetooth® low energy technology (BLE) solution for wireless fitness equipment, optimized for group and classroom training applications (e.g., leader board applications) with 50+ fitness devices and multiple receivers. 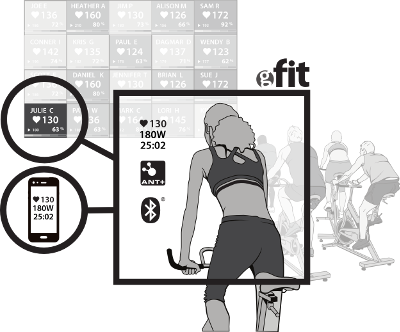 G.FIT is exclusively available on modules from Garmin Canada Inc.
G.FIT works around WiFi interference to ensure large groups of 50+ devices can connect concurrently to a group application (e.g., a leader board). G.FIT solves pairing & setup challenges with support for both ANT+ and Bluetooth heart rate monitors. G.FIT makes it easy for non-technical users to pair by providing proximity pairing and list pairing features. G.FIT solves personal device pairing by re-broadcasting ANT+ or Bluetooth heart rate data and works with the ANT+ FE-C Device Profile and Bluetooth Fitness Machine Service profile (FTMS/FTMP) so that people can record entire workout sessions on their personal devices. G.FIT enables technology maintenance with both built-in support for easy serial or wireless updates and the creation of custom device-specific G.FIT applications using the G.FIT Library and SDK. 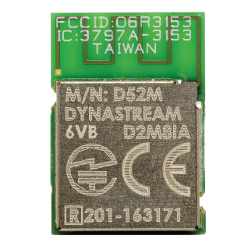 D52Q models support hardware drop-in compatibility with Dynastream FIT2 modules and other Dynastream M4 form factor modules (C7, AP2, N5, D52Q in certain configurations) . 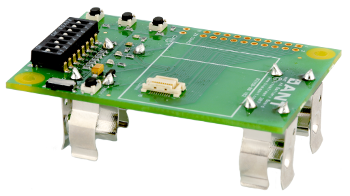 For drop-in replacements, the G.FIT serial interface will need to be implemented on the host MCU. * ACTIVE: Device, tool, or software recommended for new designs. 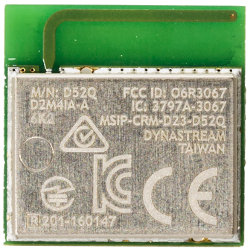 Development with the D52 ANT SoC Module Series (including G.FIT) is supported by a starter kit (D52DK2) and an extender kit (D52EXT1), which is designed to work with the starter kit. Most components in both kits are also available for sale individually from distributors. 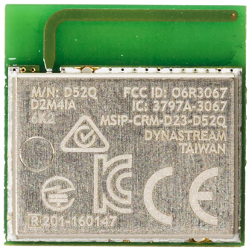 The D52 starter kit (D52DK2) contains all the hardware necessary to develop on the G.FIT platform, other advanced ANT libraries (e.g., ANT BLAZE™), ANT or Bluetooth® low energy technology. 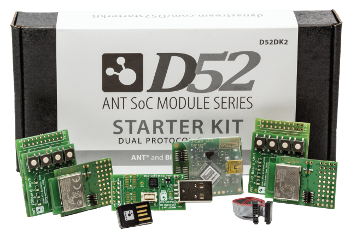 The downloadable ANT SoC Module Starter Kit User Manual describes using the kit with reference examples and the nRF5 SDK from Nordic Semiconductor. The G.FIT SDK and the G.FIT User Guide and Specification will be available for download from Thisisant.com. 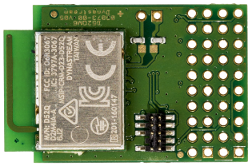 The D52 extender kit (D52EXT1) builds on the D52 starter kit to provide extra nodes and more power for IoT developers and platforms, including G.FIT group gym applications ANT BLAZE™. 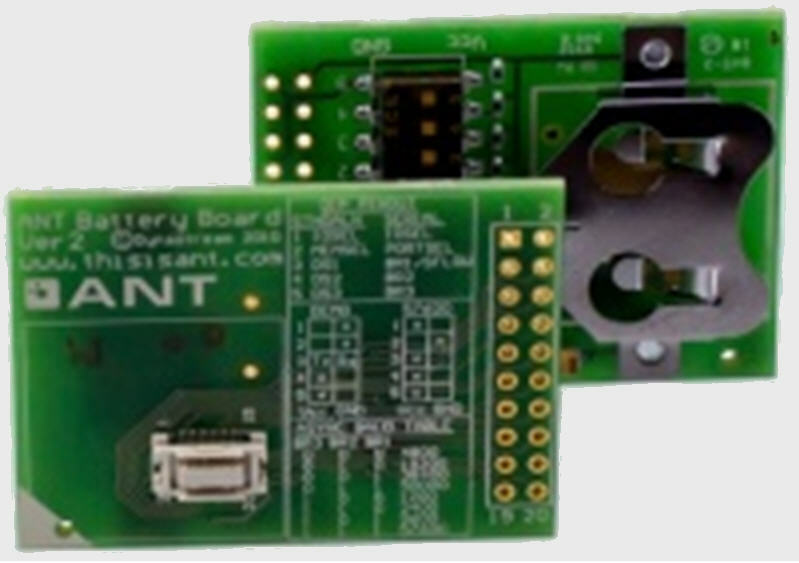 The introduction of this kit also coincides with the availability of the ANTBAT3 combination I/O and battery board. 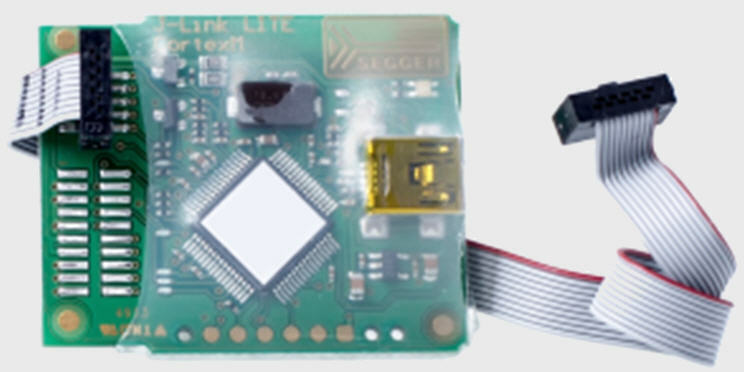 Powered by 2 AA batteries, the development board enables longer testing and development and includes buttons and LEDs for testing input and interaction. 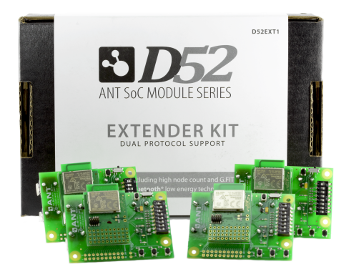 A D52 starter kit is recommended for use with the extender kit, as the starter kit includes the tools necessary to program and monitor development nodes. G.FIT features are pre-loaded on all G.FIT Modules and are accessed with the G.FIT Network Processor application. In addition, G.FIT features are available in an embedded library which can be used to create custom equipment-specific G.FIT applications using G.FIT modules. G.FIT documentation, the G.FIT embedded library, and the G.FIT SDK are available on the software libraries page. The G.FIT library download includes the S332 SoftDevice. The package, including a pre-compiled G.FIT Network Processor application, is available as an evaluation download. Note that a commercial license is required to deploy custom applications built using the G.FIT embedded library in an end product.